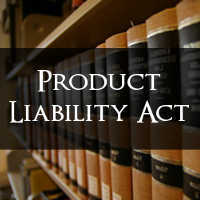 Product liability is part of personal injury law. When you are harmed by a product, this area of the law allows you to pursue monetary compensation from the individual and/or company responsible for making a defective or unsafe product available to the consumer. These parties include the manufacturer, retailer, supplier, wholesaler, distributer and various others. In addition to compensating the injured party, these claims play an important role in effecting necessary changes in legislation responsible for safer standards and business practices that benefit consumers all across the nation. 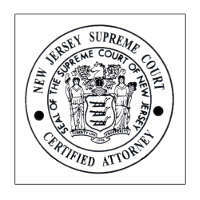 The New Jersey Product Liability Act addresses most product liability claims in the state, with the general exception of environmental tort actions and express warranty breaches. New Jersey law establishes a duty by the seller and manufacturer of a product to make and sell a product that is reasonably safe, fit or suitable for its intended purpose. At The Law Offices of John F. Marshall, don’t let our size fool you. Our firm is well established and our small size allows us to offer you the personalized attention that is often sacrificed at larger law offices. This also permits us to be selective about the cases we take on. As a client of our firm, you can be sure that our dedicated attorney will guide you through your case from beginning to end with the least possible amount of stress. With nearly two decades of experience in personal injury claims, our skilled personal injury attorney brings a wealth of skill and experience to every case he handles. If you or a loved one has been injured due to the use or consumption of a product, seek the counsel of a committed product liability lawyer at the (Red Bank, NJ) Law Offices of John F. Marshall. Call 24/7 to schedule a free consultation to discuss your situation and review your options.